Located in the Dordogne region in Southwestern France, Bergerac is a very pretty appellation of rolling hills, woods, vineyards and pastures. Its proximity to Bordeaux is evident in the choice of grapes grown here: Cabernet Sauvignon, Merlot, Malbec and Cabernet Franc for the reds and Sauvignon Blanc, Semillon and Muscadelle for the whites. The soils are mainly clay limestone although there are a great variety of microclimates and terroirs leading to individual appellations within the Bergerac appellation. There are 13 of these within Bergerac and examples are Montravel, Monbazillac or Pécharmant. Many different styles of wines are made from dry to sweet white wines, rosé and red wines. There are just less than 7,000 hectares of vines in Bergerac and over 500 wine producers. 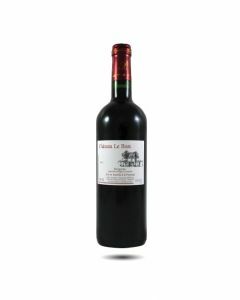 Bergerac wines are prized for their supple fruity character that often offer very good value for money. Apart from its wines, Bergerac is also much prized for its gastronomy; this is the land of truffles, ceps, walnuts and cheeses which match beautifully with the local wines. Un favori perpétuel, c'est un bon vin pour tous les jours avec des notes de fruit, de tabac et de cèdre. Produit dans la charmante région de Bergerac au sud-est de Bordeaux, où les vins sont un peu plus corsés et riches et avec une bonne personnalité.